You'll also need to add weight as 2 overgrips is still lighter than a replacement grip. He balance point will shift so maybe lay some lead tape before applying the first overgrip. Be sure to weigh the old grip to know how much weight you need to add to match it. Anyone still using it? 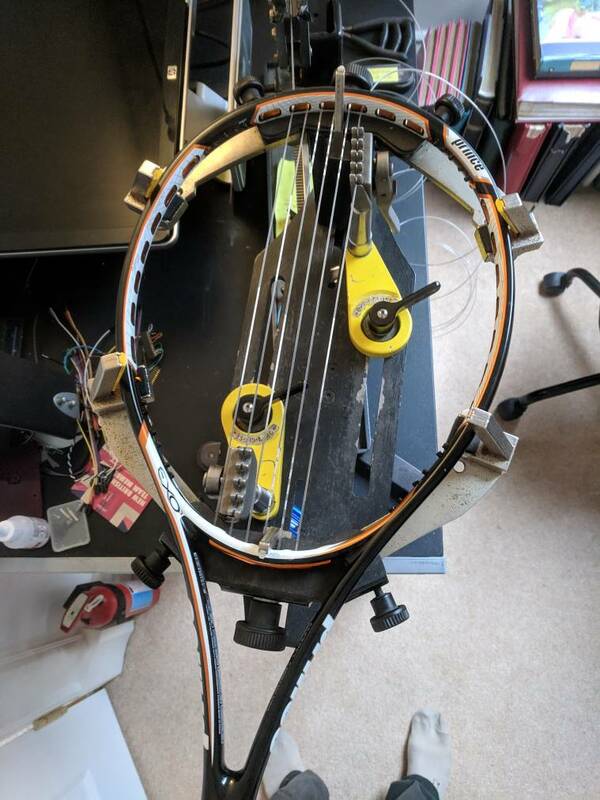 In my country Prince are selling it yet, i'm recoverying from a shoulder injury and read a looot of good things of this tacquet but...there are only thing, I broke strings too often in my old racquets with open pattern (Extr Pro IG 2.0) How many hours with full poly did you play? The 16x18 is a real string eater relative to other rackets. Even more so than your average 16x18 I think. Hi there forum, Prince Exo3 tour 100 18x20 user here, as well as a current college tennis player. I string my sticks up with 4G 141 and use a leather grip. I have recently been experimenting with adding some lead to my frame. I have tried 6g of lead at 3 and 9 on the frame and it has felt pretty good to me but the whippiness of the racquet disappears a lot and the heft is tiring to swing. I have also tried 3g of lead at 10 and 2 but it did not do enough to help me against the bigger hitters. Does anyone have any other recommendations for lead setups? I was thinking less lead at 3 and 9. I have my exo3 Tour modified to 356 grams, a bit above 12.5 oz. The weight is concentrated mostly in the handle. I have lead at 2 and 10 o’clock, about 1.5 grams each side and a protective tape that runs from 3 to 9 around the bumper and weighs 4 g.
I can’t say this setup would be good for you. My mere suggestion would be to take some weight off the head and move it down to the handle and see if that works for you. I’m not sure you want more torsional stability, more plow or just a more solid feel. I forgot to bring my tennis bag today,borrowed my mates Babolat Pure Strike Tour with Yonex Tour string. I play with the Prince Tour 16 by 18 with Luxillon Alu Power. sweet spot with the BPST is much smaller. Much,much less spin with the Babolat. Much lower deflection off the string bed with the Babolat. BPS Tour feels more solid - likely due to its smaller head size. Overall,I played so far below my normal level it's not funny. I simply was not able to generate anywhere near the amount of topspin revolutions with the Babolat PST. In part that is due to the string also. The Prince Exo 3 Tour and the later model Prince Tour 16 by 18 strung with Alu Power are spin monsters without peer. Certainly the Babolat Pure Strike Tour is more of a control racket than a spin racket so I don't doubt that you spun things better with the Prince Tour. 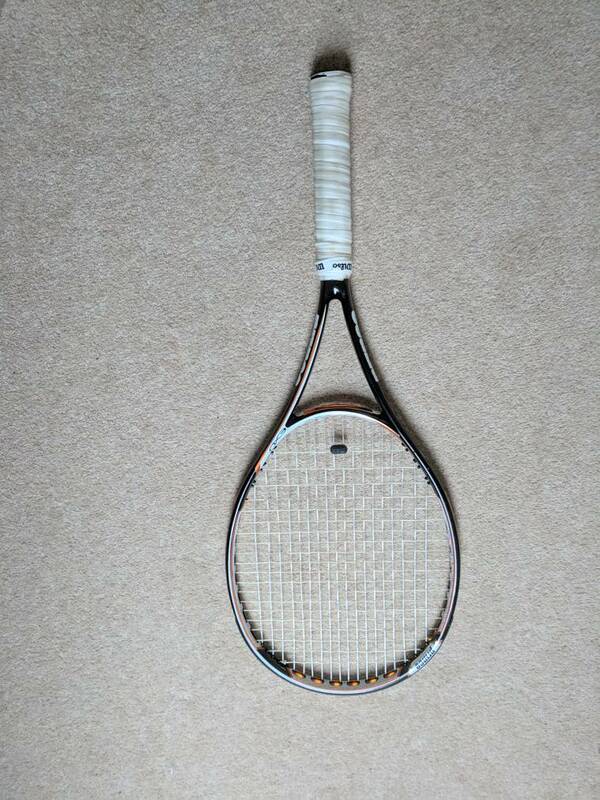 Smaller head size, tighter stringbed and traditional grommets are going to do that to a racket. I'm partial to spin rackets myself as they seem to work best for my game. 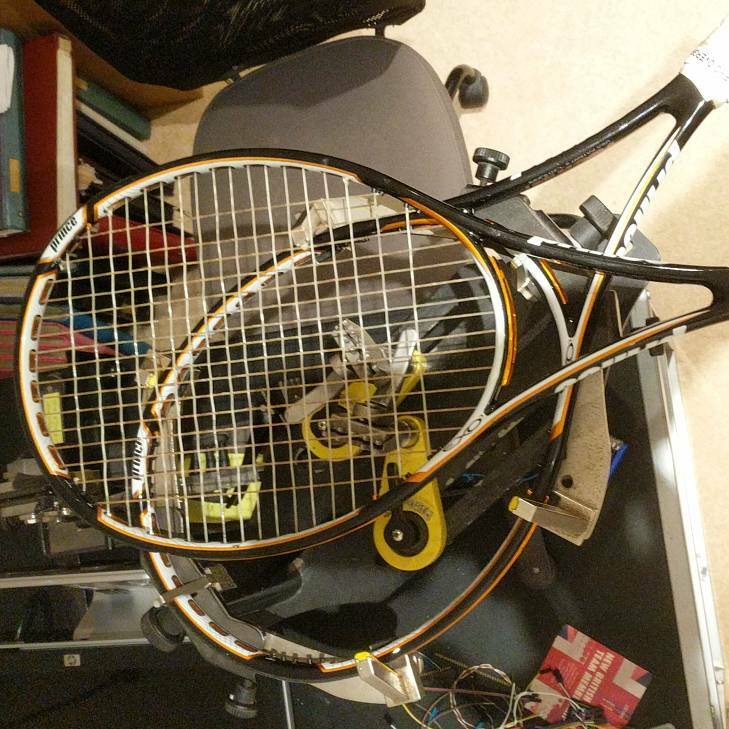 Every racket has it's strengths. Spin rackets help my groundstroke game. Control rackets help my volley game. Power frames help my service game. Extended length rackets help my serves and 2HBH's. It's all a tradeoff. I have been using my 16x18 exo3 tours strung gut / poly. Competing in doubles and singles. After a bit of a bad arm - taking a bit too much out with tennis and also non tennis activities not helping, I've gone back to my exo3 tour 18x20 but with a full bed of gut. With the right tension things are under control and super arm friendly. I also removed all lead from the hoops. I'd done that on the 16x18s before pausing their use. I fancy it was slowing my racquet head speed down. The 18x20 with full gut weighs a little more anyway. I don't find stability noticeably less. I'm playing more competitive doubles now and the thing is a volley monster.. I fancy I return better too but lack a bit of that killer topspin put the ball away power of the 16x18s. I loaded the Prince EXO3 tour 100 18x20 with gut mains (Klip Legend) and poly crosses (Tourna Silver) at a suitably low winter tension. Gut / poly just suits me! It has nearly all the spin off the 16x18, but better control and placement. The low tension is arm friendly, gives the power I need but is tamed. It's now my go to racquet. What a racquet. It’s pure comfort!! Glad I made my way back to the Exo3 Tour! I have a question about Grommet for my beloved EXO3 Tour 100 16x18. It is out of stock everywhere. Has anyone tried O3 Beast 100 grommet on EXO3 tour? The specs are very similar. You'd better use protection tape on these, so that you can make the bumper last as long as possible. Regarding the Beast grommet, why don't you ask TW staff? ?? Pretty big difference in beam thickness. Highly unlikely. Considering the Beast is much more like the Warrior than the EXO3 Tour 100, and the latter two rackets did not have interchangeable grommets. I doubt the Beast and Warrior grommets are even interchangeable. Hi guys, i ordered from tw grommets for the exo3 tour 100 16/18 and although looks that fit the racket, there black plastic, quite different material than genuine that are orange or different colour? Anyone experienced resently? They’re probably for the Tour 100 (final iteration of the EXO3 Tour line). Should fit just fine and hold up better. I would imagine so. I believe the difference is only cosmetic. Shiny orange vs black. Old thread, I know, but these sticks are so unique it's worth revisiting. I retired my EXO3 Tour 100 18x20 and Tour 100 18x20 some three years ago and have been going between the Textreme Warrior 100, Volkl V1 Classic and the ProKennex Kinetic 5G. I originally went the Prince port path after 2 years out with TE involving surgical repair to the extensor tendon and the EXO3 Tour and then the Tour got me back onto the court. Lately experiencing some GE discomfort, and not wanting that to reach the debilitating TE level I had in 2013, I resurrected the Tour 100 18x20, still with 3 year old syn gut string in it and took to the practice courts. Why did I ever leave this unique stick? Extreme comfort, pinpoint control, sufficient spin and that signature whistling sound that the ports make. After several hours of wonderful, pain free and successful tennis, I'm staying with it. Welcome back old friend. Phantom 100 didn't work out? Too open? Tata, haven't tried the Phantom 100. You're possibly right, I didn't take to the 16x18 pattern on the Tour 100, so gave that to a friend. Plus the Phantom 100 doesn't come cheap in Australia and I got my EXO3 and two Tours here on sale very cheaply. Is the Phantom a worthy successor to the Tour 100 16x18 and worth an upgrade? 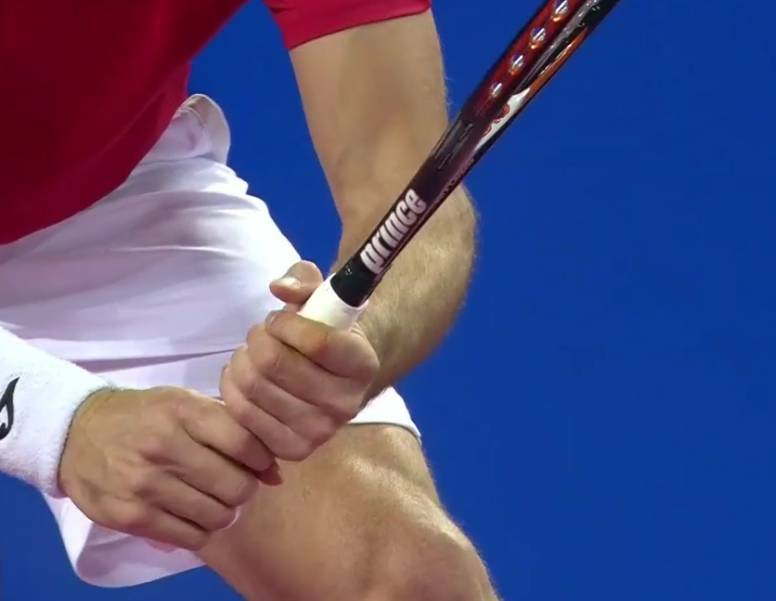 I like the Textreme in the Warrior 100 though - racquet is stable, comfortable and powerful. But the port technology is in a class of its own for extreme comfort and expanded sweet spot. Crazy frame--no wonder it's got such a following, even years later. Low twistweight with low stiffness and ports? Talk about unique. I'm using a Völkl V1 classic at the moment. I find I get more free power, less spin than the EXO3 16x18, about the same spin as the EXO3 18x20 I guess. Decided to dust off the EXO3's and have a hit with them this afternoon..
Why did I move on from this frame? Get bored, arm didn't feel as good as it does now are the reasons I can come up with. For me it's 16x18 all the way. 18x20 doesn't suit my game so well. I'm going to restring one with Prince Premier Touch mains and Prince Premier Control crosses. The other has Pacific Tough Gut mains and an old Silver tourna cross. Will cut that out and something different in that frame..
With you all the way @speedysteve. Why did I leave the Tour 100 is a question I ask too. I think because it seemed somewhat underpowered at the time and I wanted easier power from elbow friendly frames so went the V1 and 5G path. But now my elbow issues are more or less resolved I can take a much bigger cut at the ball and find the Tour 18x20 gives me all the power I need. The friend I gave the Tour 16x18 to doesn't like it and will swap me for a Textreme Warrior 107 I don't use so I'll soon be trying it out again. Thinking of putting Head Velocity MLT and Premier Control in the 18x20 too and trying that out. At 55/53 should be a comfy ride. Never again will I go down the poly path, even in these pillow like sticks. I came back to tennis two years ago, bought a couple of used Exo3 Tour 100 in 16x18. 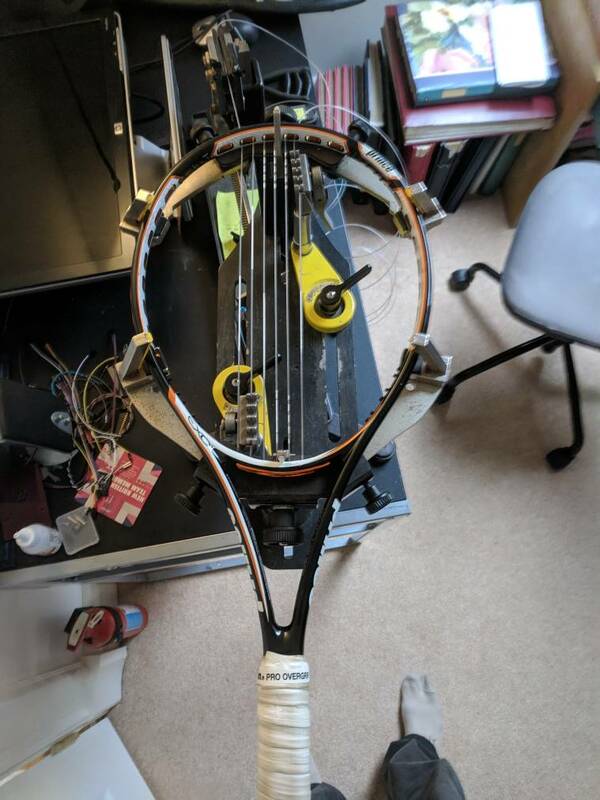 Currently demoing some 98sq stick, Blade CV, Vcore 98 and struggling to find as much feel/feedback from the racquet, and I am now aware that Prince made a fantastic stick with huge sweetspot and rewarding shots. Last 98sq I will try is a Pure Strike. I think a Textreme Tour 100p in 18x20 could be my next racquet in the end. I left mine because I couldn't hit with much authority. Harder to dictate points but dam I played very clean and consistent tennis. Spin machine even in 18x20. Fans of the open pattern have either moved to the tour 100 16x18 or phantom 100. Fans on the dense pattern may find a close match to dense pattern in the mentioned new phantom pro 100 in 18x20. Solid beam instead of ports. Sub 60 RA so I'd say it's pretty darn close. Same boat - LOVED the 18 x20, but needed a little more pop. And I got them weighted as much as I could. I wished they'd do a straight update with Textreme and that would do it. Although, I've been loving the Phantoms. Off or on topic? 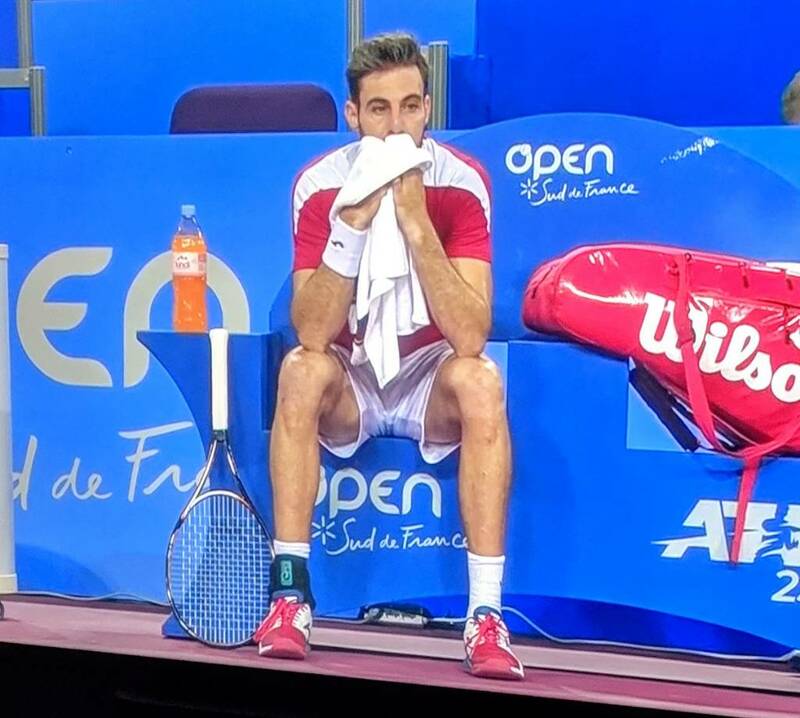 What's Granollers using today in Montpellier? Def a Prince as I saw the throat edge in one shot with name. He used to be Wilson Burn I think. Yeah looks like an EXO3 Tour 16x18 to me. I remember Nicolas Kicker from Argentina using an EXO3 Tour in the Australian Open last year. There was an article about him sourcing the Internet to buy used EXO3's because he only had 3 in his bag. I was thinking of contacting him at the time because I wasn't using mine lol! I think he is using a Phantom now. The EXO3 is certainly a classic if pros are still using or recently using a long discontinued frame. Here are my old EXO3 Tour 100's getting some TLC. A 16x18 and then 18x20. I'll be hitting with both tomorrow weather permitting..
Yeah looks like an EXO3 Tour 16x18 to me. It's actually an earlier version with a paint job, possibly an Ozone Tour or 03 Tour. If you look closely, the ports on Granrollers' frame are round, not rectangular. It's actually an earlier version with a paint job, possibly an Ozone Tour or Speedport. If you look closely, the ports on Granrollers' frame are round, not rectangular. I thought the round ports came after the squarer ones, but I don't know the time line at all really.. Yes the O3 ports (oval shaped) came first as in the O3 Tour Red 105. Had one way back at the time, never clicked with it, sold it to a guy who left it on a train! Just checked stringing records, I was stringing it in August 2006, how time flies. I have rectangular ports and EXO3 text on them. 2 of 16x18 and 2 of 18x20.. I played Pacific Tough Gut mains and Prince Premier Control crosses in one of the 16x18's. Love the feel. Won all 4 fast four format sets I played today Against two opponents! Völkl is going into retirement for a while.. The Ozone tour 100 is still a terrific frame and can hang in the modern game even. If you are lucky enough to pick up a slightly extended version, that allows some customization to turn into absolute beast with some lead under the bumper from 10-2 with power level on par with any Babolat frames but with better maneuverability due to the thin profile, and comfort level of PT57A. As a port player since their release, I found that you need to keep the swing speed up and across when serving. In case you missed it, you can now get the "PRINCE EXO 3 TOUR 100 (310 GR) (LIMITED EDITION) RACQUET" (Google) here in Europe. Only the 16x18 version though. I hope TW Europe will get them too. Shame no 18x20 version. I'd be up for one to have in the bag. Love the colour of the Limited Edition, gives it a modern look. In the specs it gives the stiffness as 63 RA which is substantially more than the original EXO3 Tour 100 and Tour 100 in both 16x18 and 18x20 patterns. Worth keeping an eye on to see if TW and Tennis Only in Australia stock them. Love the colour of the Limited Edition, gives it a modern look. In the specs it gives the stiffness as 63 RA which is substantially more than the original EXO3 Tour 100 and Tour 100 in both 16x18 and 18x20 patterns. Indeed, it's probably the Tour 100 16x18 (that followed the EXO3 Tour 100 16x18) in a new cosmetic rather than the first-gen EXO3. I have moved on and back several times. Phantoms...93p, tt100p, POG. I am back with my tour 100 18 20s. I think my arm is addicted to them. The phantom 118 x 20 doesn’t interest me as much as I thought it would because the other large phantoms felt clumsy to me. I think the O ports make the tour 100s feel less clumsy through the air. Anyway, I just bought another new old stock on **** so I have four. I am not going to budge. The only thing I might consider would be if they come out with a text stream tour that has ports. I think it is the ports that make me love the frame and make it swing as easy as it does through the air. By the way man have 4 inches of lead at three and nine and come to 12.5oz. They give me good pop on serve with this weight and I can still swing them.